The new packaging will be introduced from May next year but the measure has sparked an outcry among tobacco companies which are threatening legal action. Experts say removing branding on packets and adding large health warnings works. Smoking is the main cause of death in France, with more than 70,000 people dying each year of tobacco-related illnesses. 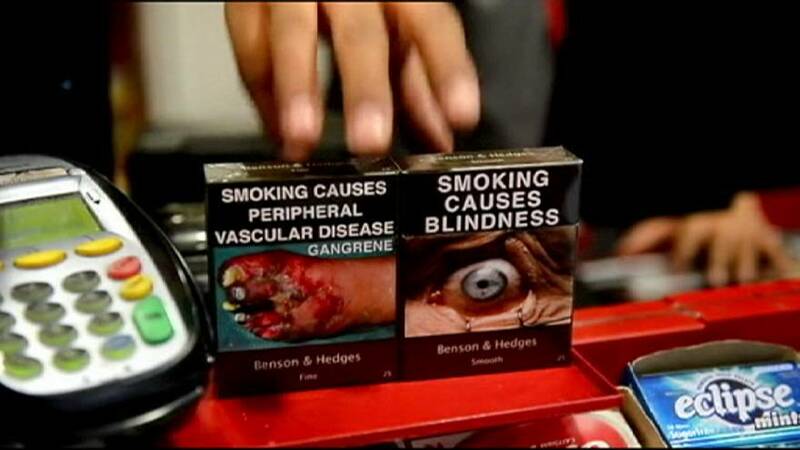 EU laws already force tobacco firms to cover 65% of the packaging with health warnings, but Health Minister Marisol Touraine says from next year the rest of the packet will be “the same shape, same size, same colour, same typeset”.